Who doesn’t love a good slider? Bite-sized, tiny sandwiches, known as sliders, are always fun and satisfy the kid in all of us. Not to mention they come in a range of flavor combinations from cheeseburger sliders to duck confit sliders. 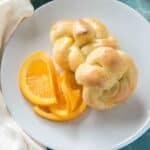 Pull apart sliders for a crowd are easy to make and so much fun! You could easily whip up these cheesy corned beef sliders for St. Patrick’s Day, or make these baked hot pastrami sliders. Pastrami is the cousin to corned beef, isn’t it? 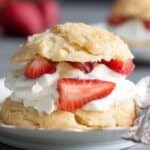 Of course, you can take any slider recipe and adapt it to a pull apart recipe. Simply pile all the fixings on the buns and bake a few minutes to heat everything up and melt the cheese. 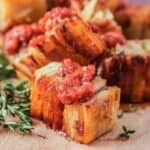 These Hawaiian Pizza Pull Apart Sliders are full of that sweet and salty combination from its namesake, except they’re in an easy pull apart slider form. 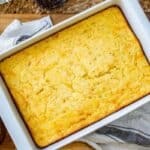 Perfect for an appetizer or a light meal! BBQ Chicken Pull Apart Sliders are full if tender chicken, delicious barbecue sauce, and Monterey jack cheese. 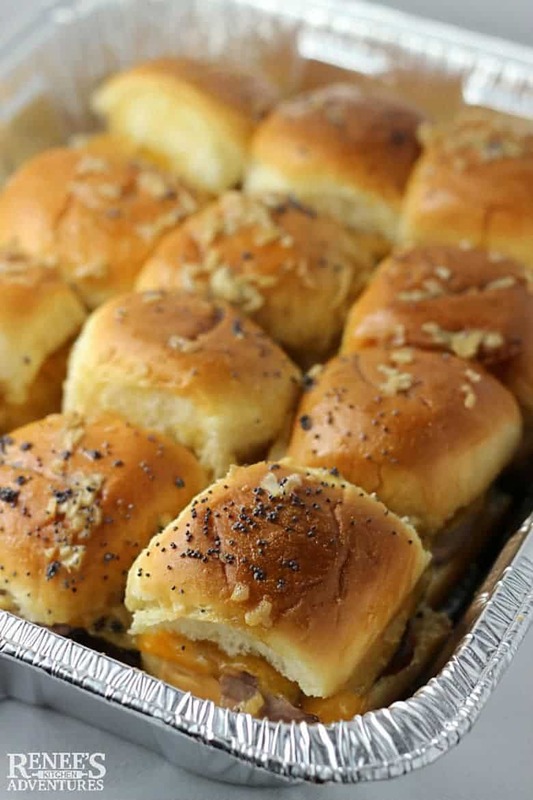 Not only are these sliders scrumptious but they come together in under 30 minutes making them perfect to feed a large or small crowd. It’s time to party with some finger sandwiches! 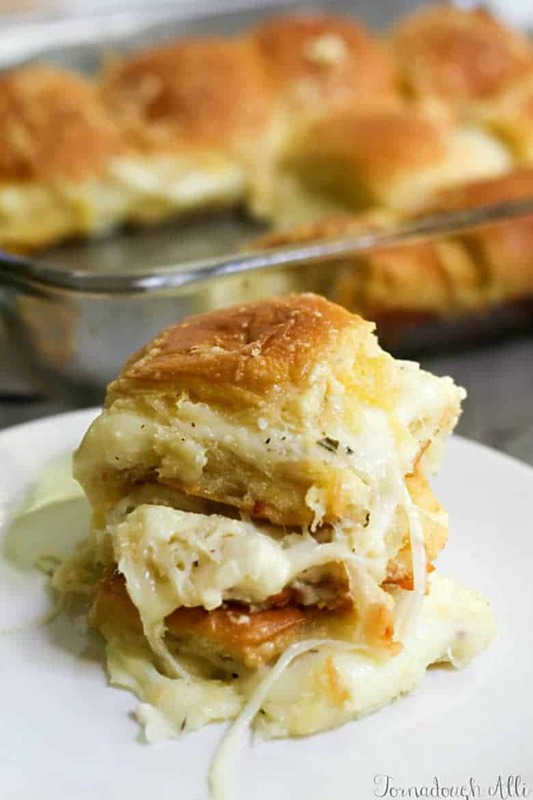 This Turkey Sliders Recipe can easily feed large crowd, or just some really hungry friends. Bacon Cheeseburger Sliders should be served piled extra high with your favorite toppings. 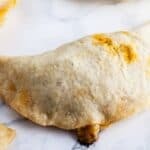 They’re the perfect finger food to feed your hungry game day guests. 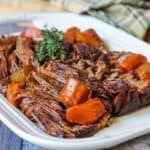 If you have some left-over pot roast or roast beef in the fridge, then you can easily whip up a batch of these beefy sliders from Renee’s Kitchen Adventures. Easy BBQ Beef and Cheddar Sliders are fun party food and a delicious combination of family favorite flavors. 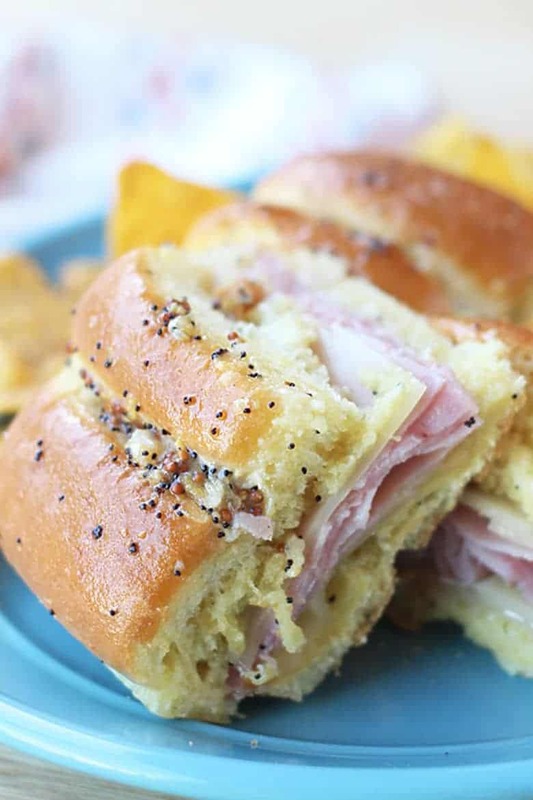 We don’t know about you, but hot ham and cheese sandwiches, like these from Life Tastes Good, were a childhood lunch staple for us. 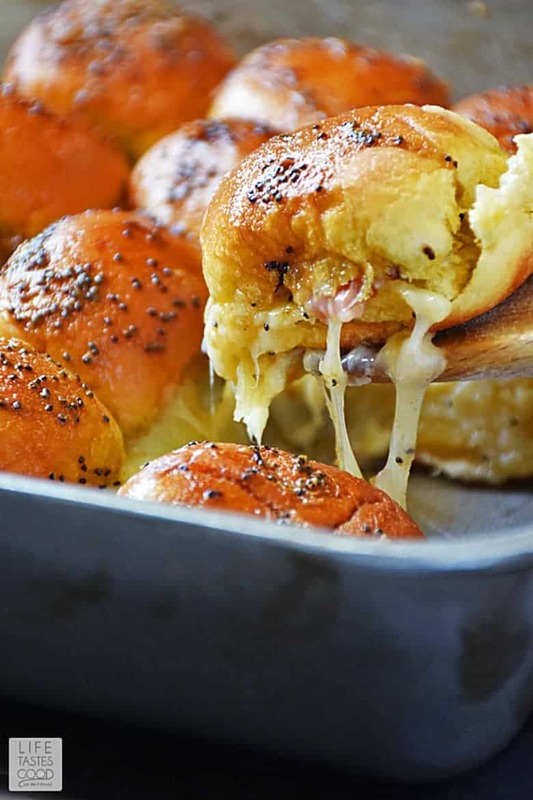 So, it goes without saying that these Baked Ham and Cheese Sliders, with their mustard glaze and cheesy goodness, are our favorite kind of comfort food. If you’re like us, we always have a can of cranberry relish in the pantry. Which is a good thing, because you’ll want to make these festive sandwiches from Simple Seasonal. 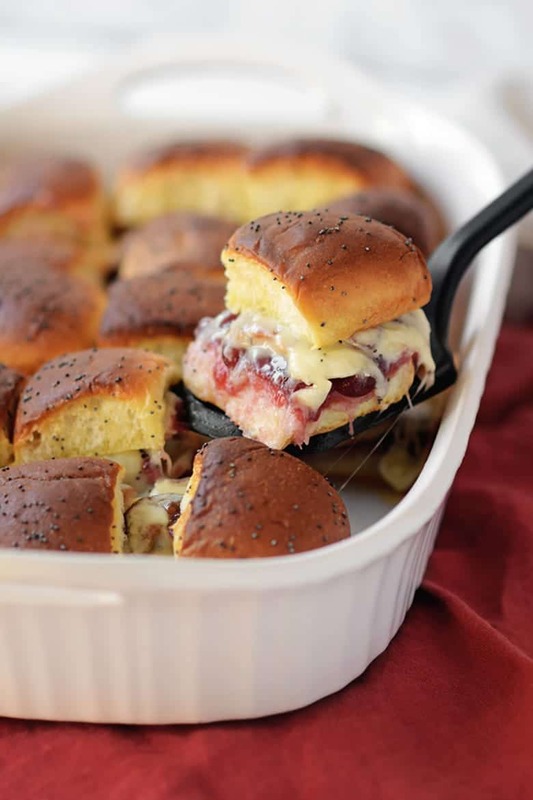 Cheesy Cranberry Bacon and Turkey Sliders have all your favorite holiday flavors in one little slider. An Affair from the Heart knows roast beef and horseradish are a match made in heaven to us. Her Roast Beef Sliders with Horseradish Sauce have thinly sliced roast beef, horseradish sauce, and three kinds of cheese to make them super irresistible. 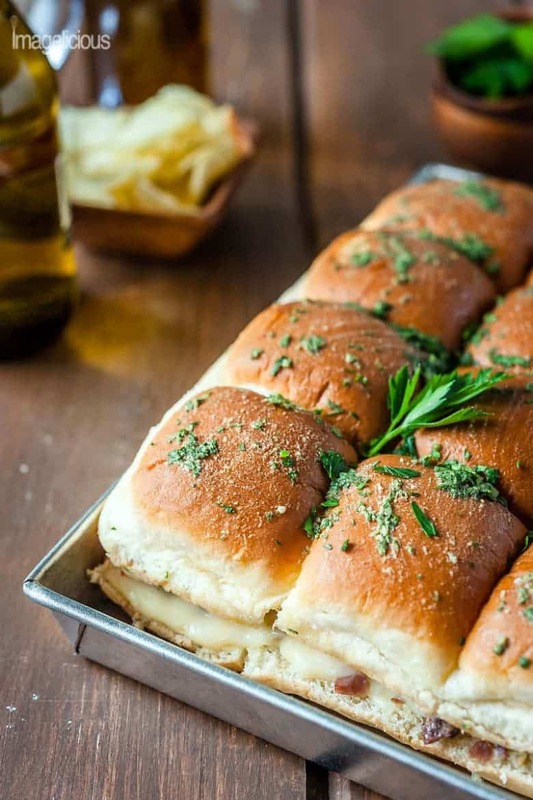 These sliders from Flavor Mosaic are truly kid friendly. 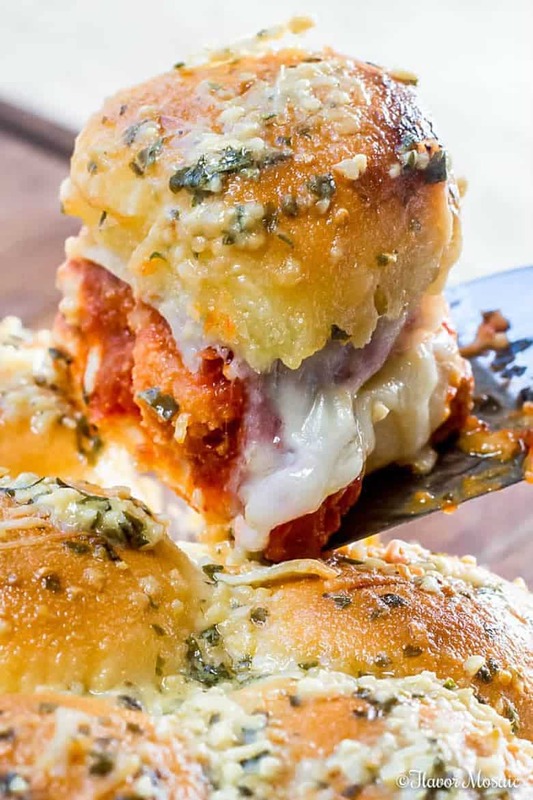 She turned chicken nuggets into these saucy, cheesy, Chicken Parmesan Sliders perfect for a potluck or game day party. Food Above Gold says that any comfort food can be turned into a slider. 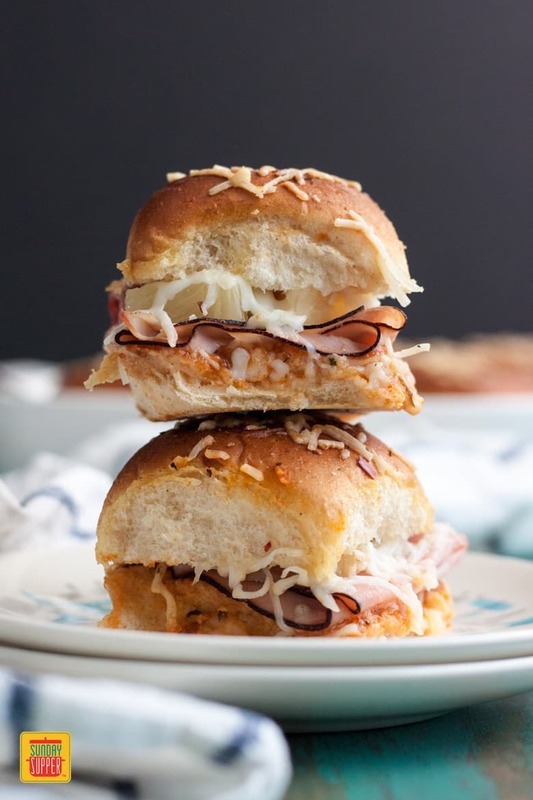 Her Pesto Chicken Parmesan Sliders have aromatic pesto flavors and creamy mozzarella for that perfect little bite of comfort. Who Needs a Cape? put on her slow cooker to use for these handy sliders. 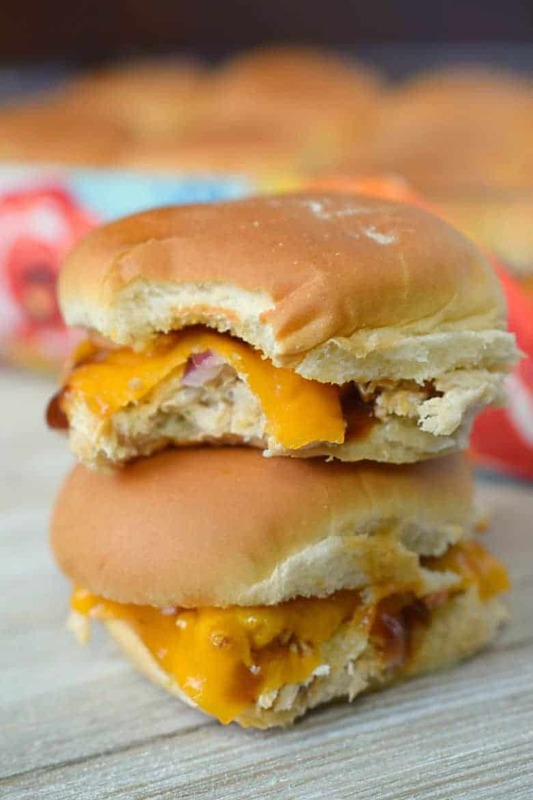 Slow Cooker Creamy Chicken & Bacon Sliders are filled with cheesy ranch chicken, bacon, and cheddar cheese. Yes, you guessed right! Tournadough Alli stuffed her sliders with lots and lots of cheese. 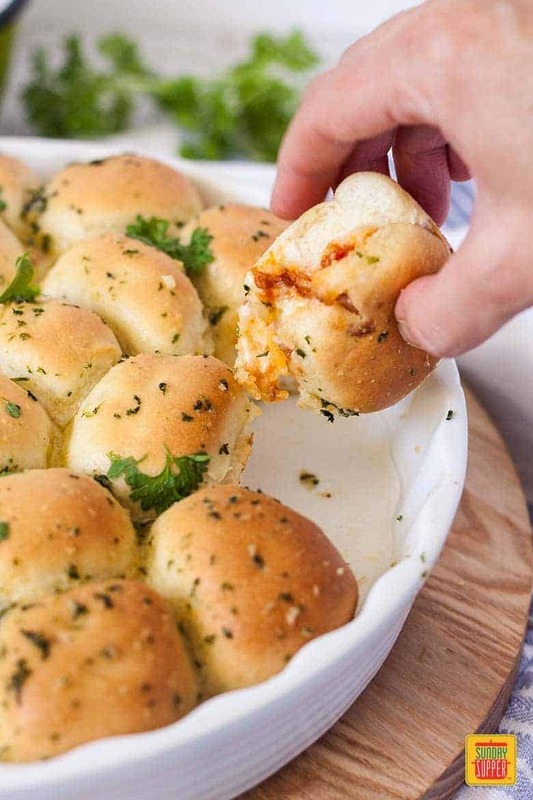 Her Cheesy Stuffed Garlic Bread Sliders are like super cheesy stuffed garlic bread, and are decidedly delicious! If you’re looking for something with a little more kick, then try this slider recipe from Imagelicous. 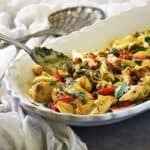 Jalapeno Chicken Sliders only take 5 minutes of prep and 10 minutes of cooking time. 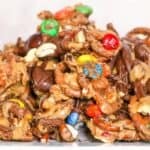 A totally mom-friendly recipe! 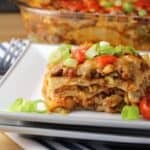 We always appreciate a good make ahead meal like this one from Make Ahead Meal Mom. 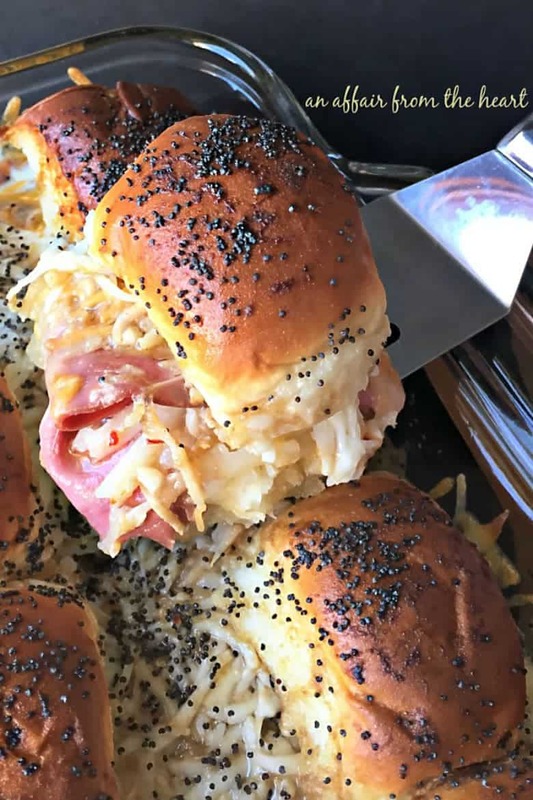 Her Hawaiian Sweet Roll Sliders are packed with ham and Swiss cheese and can be frozen up to 2 months ahead of time. However, we doubt they’ll last that long. Sugar & Soul Co made these sliders particularly kid friendly. 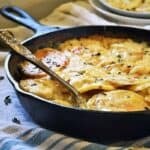 They can even help you make them for dinner! 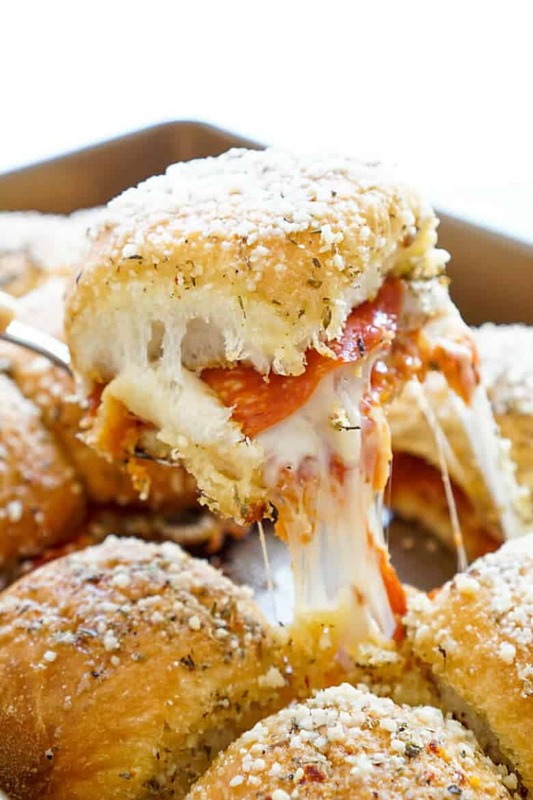 This Easy Pizza Sliders Recipe not only has pepperoni, but it also has bacon, mozzarella, and Parmesan. What’s not to love? Tornadough Alli turned the ultimate family friend sandwich into a pull apart slider. 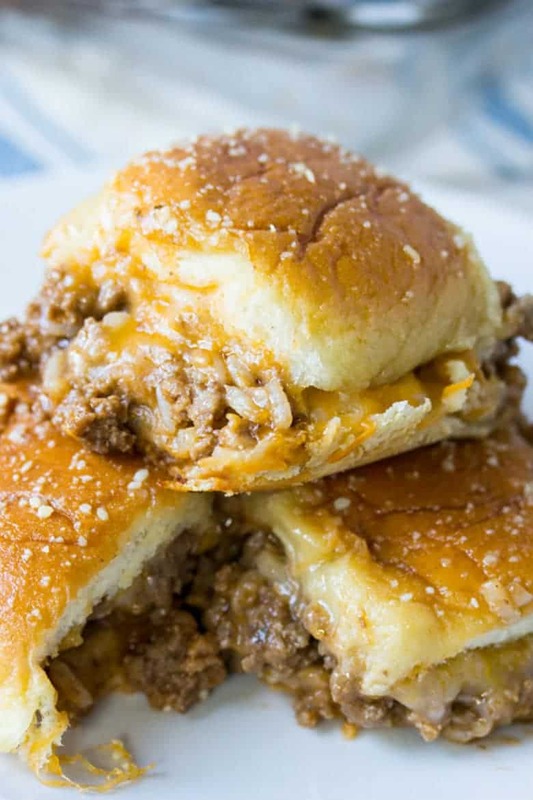 Her Old Fashioned Sloppy Joe Sliders are a fun, quick, and easy recipe for any night of the week. 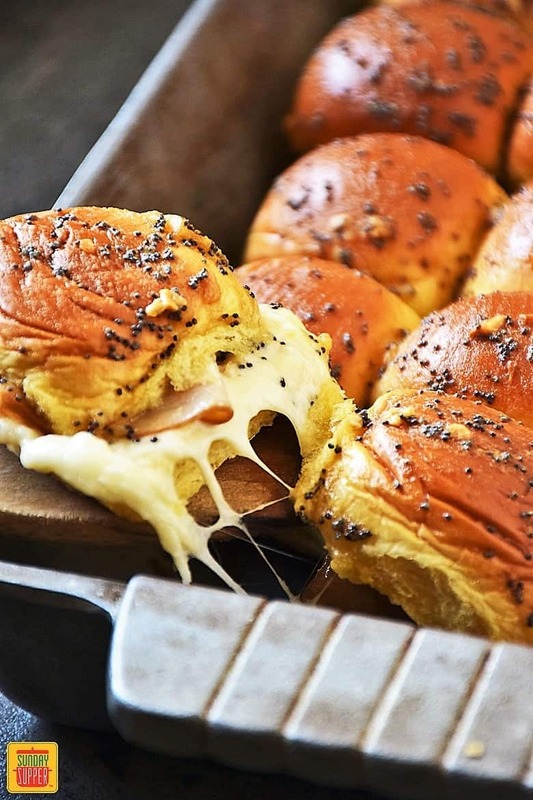 With an interesting twist on the base, these sliders are on the table in under 30 minutes. 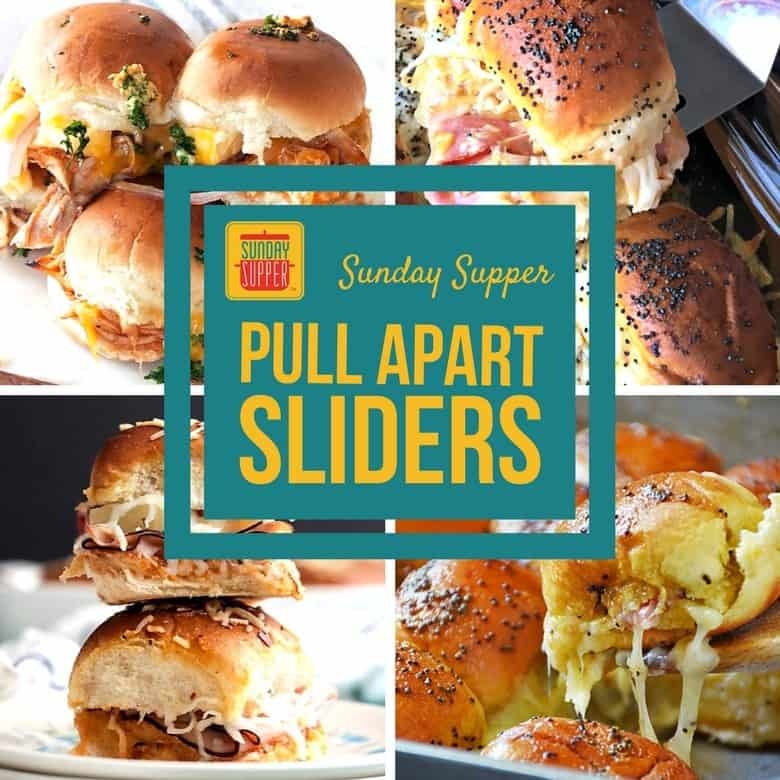 Craving more pull apart slider recipes for a crowd? 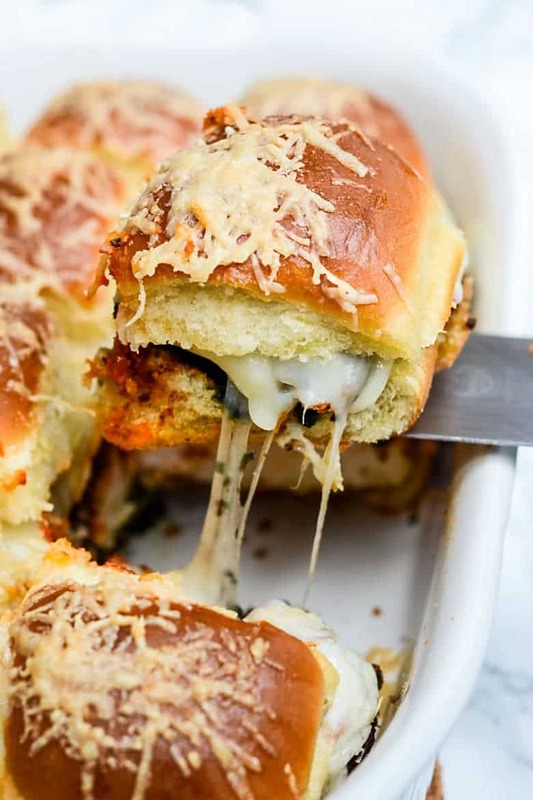 Try these Bolognese Pull Apart Sliders and more scrumptious slider recipes!